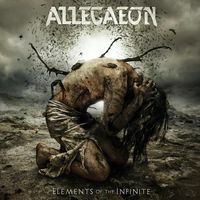 With Apoptosis, Allegaeon deliver their defining statement. A near-perfect symbiosis of technical, progressive, and melodic death metal, it's a record that's as crushingly heavy as it is inventive, lithe and intelligent, and marks a significant leap forward in their songwriting. "On this record, I was more open to new ideas that we might not have used in past," states guitarist Michael Stancel. "Rather than deleting something because 'it's not Allegaeon-y enough', I would take a step back and see if that idea fit the song and decide if it was worth keeping. With that mentality came some of my favorite songs, because I was less worried about if it fit into our old sound." This statement is borne out across the whole album, which while very much embodying the core Allegaeon sound that has drawn fans in over the course of their impressive career, it pushes into new territory, and does so with unerring confidence.